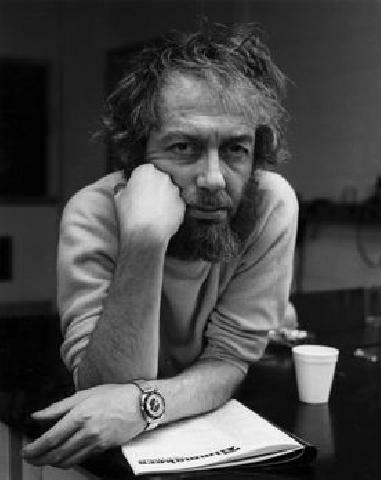 Hollis Frampton (March 11, 1936 – March 30, 1984) was an American avant-garde filmmaker, photographer, writer/theoretician, and pioneer of digital art. Hollis Frampton married Marcia Steinbrecher in September 1966. The couple separated in 1971 and divorced in 1974. He later married Marion Faller, a photographer whom he had met and began living with in early 1971. Together, Frampton and Faller collaborated on several series including "Vegetable Locomotion" and "False Impressions". Frampton had a stepson by Faller named Will. Frampton was born Hollis William Frampton, Jr. on March 11, 1936 in Wooster, Ohio to Nellie Cross Frampton and Hollis William Frampton. An only child, he was raised primarily by his maternal grandparents John and Fanny Cross. Fanny Cross is the subject of Frampton's 1979 film "Gloria!". At the age of 15 he entered Phillips Academy in Andover, Massachusetts, where he was accepted on full scholarship. At Andover, Frampton’s classmates and friends included the painter Frank Stella and sculptor Carl Andre. Well read as a youth, he had a reputation at Andover as a “young genius” He failed to graduate from Andover, and thus forfeited a National Scholarship to Harvard University. He failed his final History exam on a bet that he could pass without ever reading the textbook. Entering Western Reserve University in 1954, Frampton took a variety of classes (Latin, Greek, German, French, Russian, Sanskrit, Chinese, mathematics) but had not declared a major. He recounted that when he was called in front of the dean after three and a half years of study and 135 hours of credits and asked, once again, if he intended to take a degree, he was told that if so, he needed to take speech, western civilization, and music appreciation. He replied that “I already know how to talk, I already know who Napoleon was and I already like music” and noted that “For that reason I hold no bachelor's degree. I was very sick of school." During this time he had a short-lived radio show on WOBC at Oberlin College. Early the next year, Frampton moved to New York. He renewed his friendships with Andre and Stella, sharing an apartment first with the two of them and then with Andre only. He began photographing artist friends; early projects included documentation of Andre’s work,The Secret World of Frank Stella 1958–1962, and portraits of artists such as Larry Poons and James Rosenquist. The last few years of his life, Frampton taught at SUNY Buffalo, writing, working on Magellan and ongoing photographic projects with fellow artist and wife Marion Faller, and investigating the relationship between computers and art. He did some initial work with video and sound reproducing with an IMSAI 8080 computer. A heavy smoker, Frampton died of cancer in 1984, a few weeks after his 48th birthday. "Archived copy". Archived from the original on 2014-02-14. Retrieved 2014-02-05. In Jenkins & Krane (1984, p. 107), Frampton is described as speaking infrequently as a child but when he was tested at age nine years, eleven months, he was found to have a mental age of eighteen years, six months and was enrolled in classes for gifted children thereafter. "197703 Interface Age : Free Download & Streaming". Internet Archive. Retrieved 2015-09-06. "A Hollis Frampton Odyssey; Criterion Collection".